Just Reclaimed! Brown Granite Cobbles! These freshly reclaimed 4” x 4 ”x 8” Brown Granite Cobbles are sawn on the long sides and bottom. 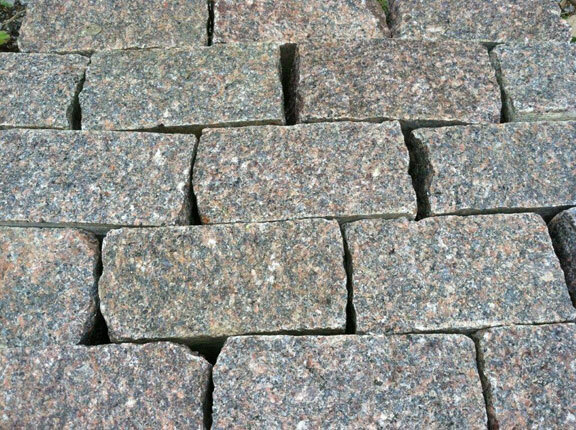 These cobbles have cleft top surfaces and ends. Great color with some flash in the granite. These cobbles are perfect for paving and edging driveways.